As we grow older, many things change. Our bodies, our opinions, our level of patience, our health, our hair colour, and pretty much every aspect of our being – both mental and physical – morphs and transforms. At the age of 24, I bartered so hard with shop owners during our first backpacking trip that I’d end up spending twenty minutes haggling (arguing?) just to save 50 cents. “I definitely want a good deal, but that 20 minutes is worth more than 50 cents to me, and this man will be able to buy bread for his family with that money”. Bargaining for shoes at the market in Istanbul. Gone are the days of an overnight bus ride to arrive at a town early in the morning, only to visit it for 12 hours before hopping on another 15 hour bus journey. We’ve now slowed down our travels – perferring to smell the roses and get under the skin of the destinations we visit, rather than just blazing through. Hangovers now last 2 – 3 days! We used to party all night (although not often), but now a full moon party consists of us staying out until we can see the moon, before going home to bed. These days, party nights seem to mean having a few beers or glasses of wine with good company, and then going to bed by midnight. And night’s out happen once every couple of weeks. We still love hostels and we spend most of your time in them, but we now treat ourselves to a nice room every once in a while. 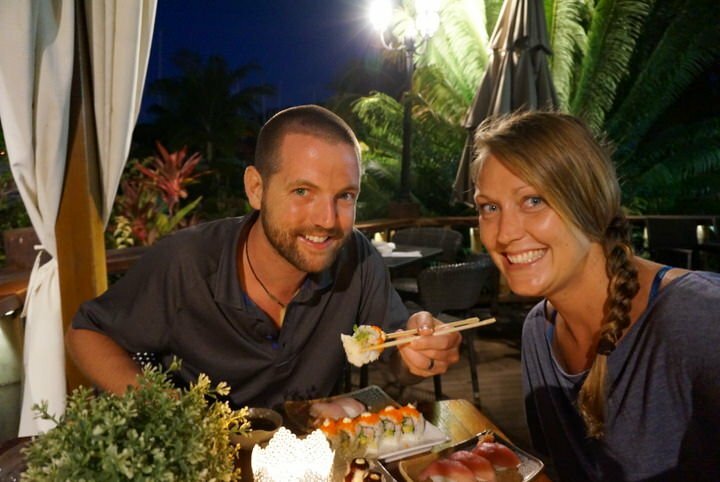 We always loved experiencing different cultures, but now we are looking for a personal connection and a better understanding of the places we visit. We question local people more about their life and their customs and we attempt to find a level of empathy with their situation by trying to live it, or at least experience it for a fleeting moment. 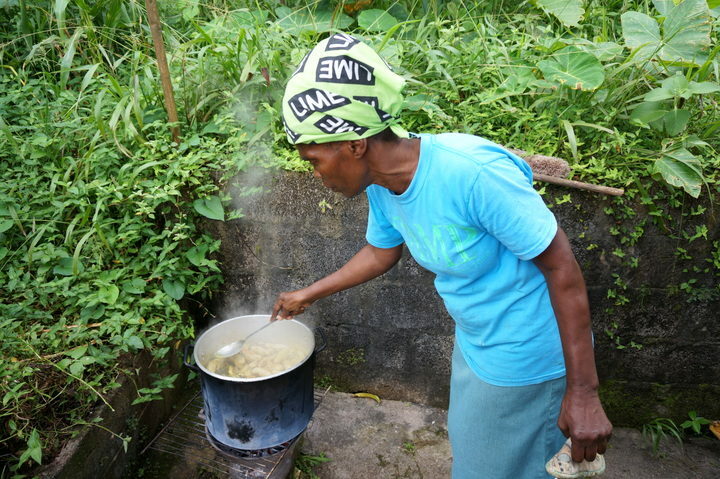 Our friend’s great auntie making us all the national dish of Grenada, an oil down. Beaches and tree bars were the most interesting part of travel once, but suddenly, learning about the baroque architecture of Havana, the ancient ruins of Mexico, and the plantations of the Caribbean is what really excites us. We’ve noticed over the past couple of years that we have an urge (desire) for a home base, or at least a temporary one. We’re now interested in living in an apartment for a month, or more, in between our travels. This may be another product of our ever-travelling lifestyle, but we no longer felt the need to travel ultralight. I find more value in having a change of clothes and a secure backpack than I do in keeping it carry-on sized. And, let’s be honest, we carry our entire lives on our backs. It’s inevitable that we’re going to want some nice clothing and practical items from time to time! 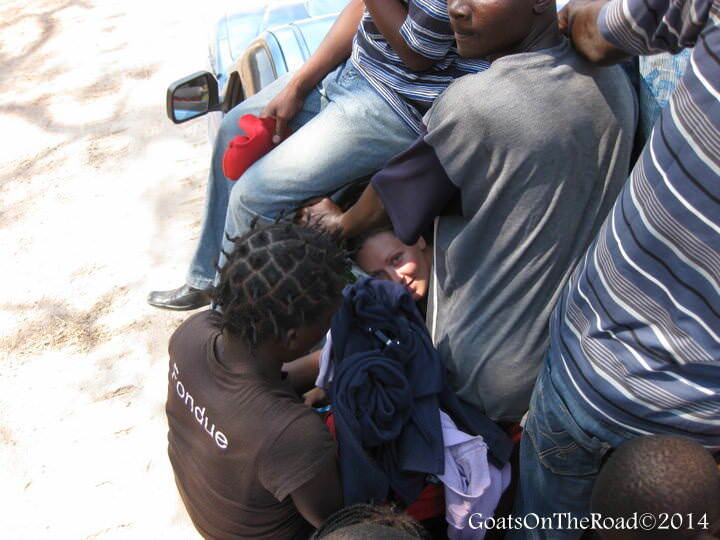 We used to travel a little bit on the wreckless side – visiting Lamu in Kenya while foreigners were frequently being kidnapped from the island, heading to Egypt during the revolution and staying at a hotel in the central square of Tetouan, Morocco during a town riot. Back in the day, we would ride on the roofs of buses, get into overloaded boats, and ride motorbikes without helmets. These days, we’re more careful of our belongings, and our well-being – if there’s a choice! This is probably another result of permanent travel, but now that we’ve been on the road for 7+ years, we’re missing our family more and more. At first it was just a trip, we’d be home. But now that our life is lived abroad and on the go, we make more of an effort to see our families (and they make more of an effort too). I’d say most of our arguments on our first trips came because we were hungry. Really, really hungry. When you’re on a super-tight budget, you don’t really have extra money for snacks and, in some cases, lunch. We used to go many hours without eating sometimes due to long bus / train journeys that we were ill-prepared for, or because we didn’t want to “go over budget” for the day. These days, food is a priority. I’m not sure when Dariece and I turned into foodies, but we are now totally in love with cuisine and plate culture. 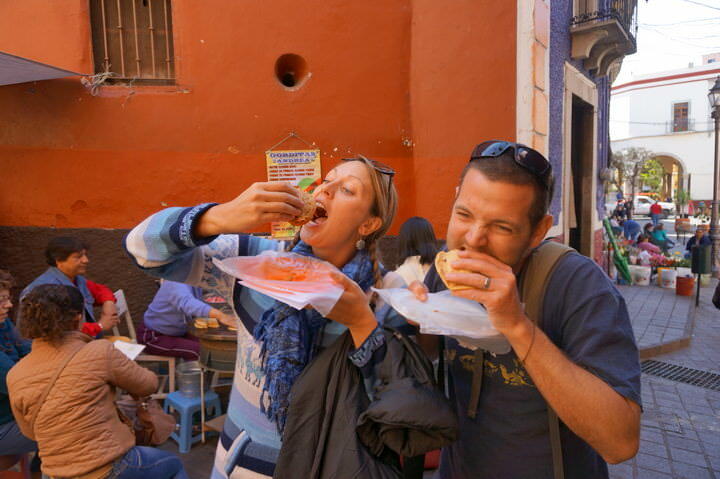 We always loved eating, but now we find that food is one of our favourite parts of travel. 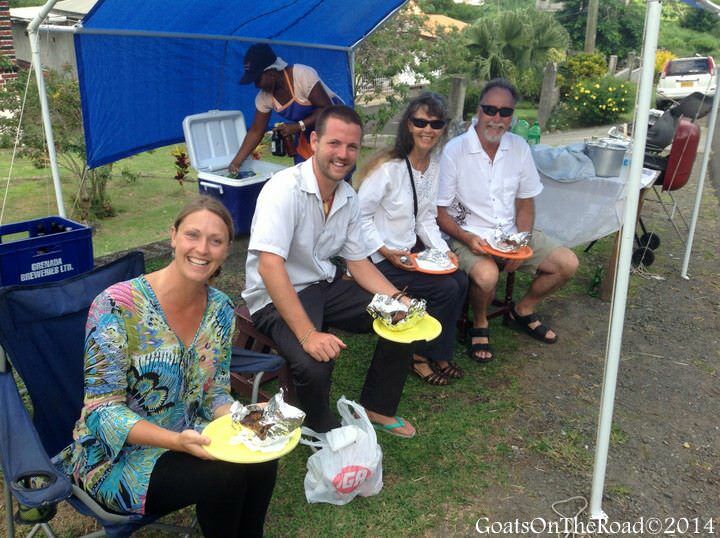 We take food tours and research local dishes before arriving in every place we visit. I would say that we probably drank more wine in 2015 than we had in the previous 6 years on the road! When we were in our 20s, we were trying to see new places and as many destinations as possible. While we did return to some of our favourite countries more than once (India, Thailand), we never really felt the need to return. These days, we’ve gone back to our beloved island of Grenada two times now, and are going returning again later this year. Plus, we feel Asia calling us. There’s a level of nostalgia that we feel when we think about our travels there and we are dying to go back and see how much it has changed since our last visit. We used to sit on a towel on the sand for hours on end, soaking in the sun and getting as brown as possible. Now, we could care less what colour our skin is (in fact, we wear SPF 50), and we usually just go for a swim and then head out to do something more interesting and active. As Dariece and I are planning our next trip, we’ve noticed that we’re a lot more interested in the festivals and cultural events than we used to be. 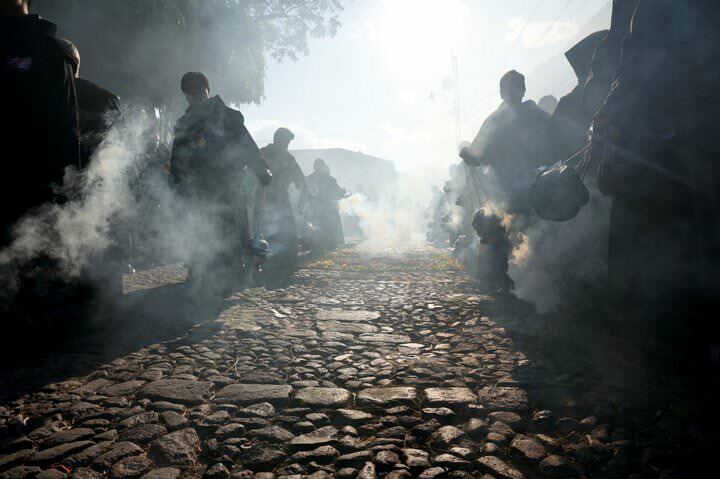 We actually made the effort to go to Antigua, Guatemala this year to experience the Easter celebrations there. We make sure we’re in the Caribbean for Carnival season and we’re excited for the Spring Festival in Hungary. I think the only festivals we saw on our first trip were ones that we just stumbled onto, but now they’re an integral part of our trip planning. To be fair, this one really isn’t our fault. As we grow older, we seem to be perceived differently by salesman around the world. Maybe other people start shopping more as they get older, but we are finding that souvenirs look more and more useless each year. This is probably because we have no place to put them, or maybe because they all start to look the same, but we have had less of an urge to shop than ever before – unless it’s for a product that will help expand our business. Whether we meet a fellow traveller or make friends with a local from the countries we visit, we now try to keep in better contact with the people who we meet. So many times on our first trip, we met cool people but never ended up emailing them. Now we know just how fun it is to have friends from around the world and we cherish their contact info. Certainly a product of a higher budget, we find ourselves taking taxis if they will save us a lot of time. We used to just take local buses, even if they took twice as long, but now we’ll often throw $30 at a situation just to ensure that we have more time to visit the site or the town that we’re heading to. Perhaps we’ve always wanted to give back, but never had the extra means to do so? Lately, we’re looking for more and more ways to help the communities that we travel to. The countries we’ve been to have given us so much, we feel that it’s time to give back. 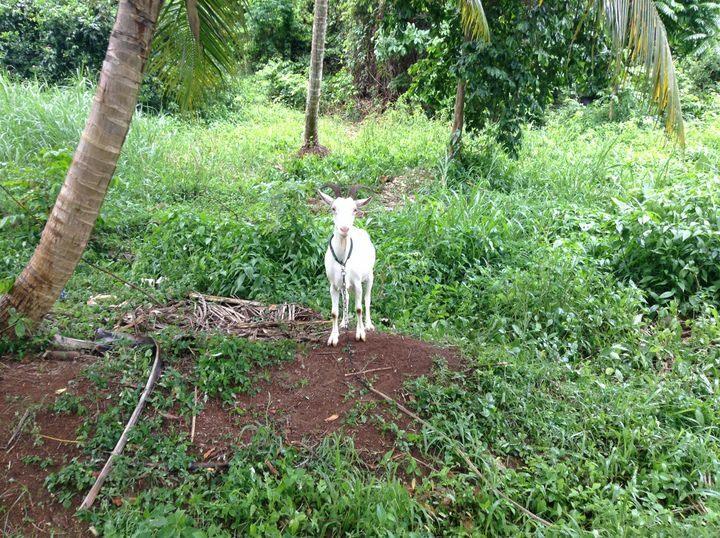 Whether it’s donating a goat (more about this idea later on the blog), volunteering as English teachers, or building a well in Cambodia, we are making an effort to help out where it’s needed. Not only do we take more taxis than we used to, but gone are the days of the lowest class transport for the lowest possible rate. We’ve spent more than enough sleepless nights with rats rooting through our bags in India, now we go for the air-conditioned class and the comfortable seating. Sleep is important! I never thought I would travel with a pair of dress pants and a collared shirt, and maybe that’s because I really never needed them while backpacking in Southeast Asia. But now that we sometimes go to nicer restaurants or bars, there’s actually a dress code. I prefer to wear my board shorts, flip-flops and a T-shirt, but I don’t want to miss out on the country’s best steak, or a famous cultural show, simply because I don’t have any nice clothes. The same goes for Dariece, she has a dress or two, dress pants, nice shirts and even a pair of heels! …and good thing too, as here in Barbados, there is a dress code for many places. Dressed up for sushi date night! I used to think that cultural shows were “too touristy”. It’s true, they’re mostly attended by tourists because we are the ones most interested in the country’s culture. Oftentimes when we were younger, we wouldn’t go to a show, thinking it was just for package tourists, or the older crowd. But these days, we’re starting to learn that sometimes these cultural shows are often the best (or only) way to witness ancient dance, dress and traditions. We have always done some tours, but we skipped many of them in the past because we thought that they were too touristy, or too expensive. We now realize that tours can give you an invaluable glimpse into a country and its history, and although we still prefer to hire our own, private guide, we don’t miss out on great tours just because there will be other tourists around. 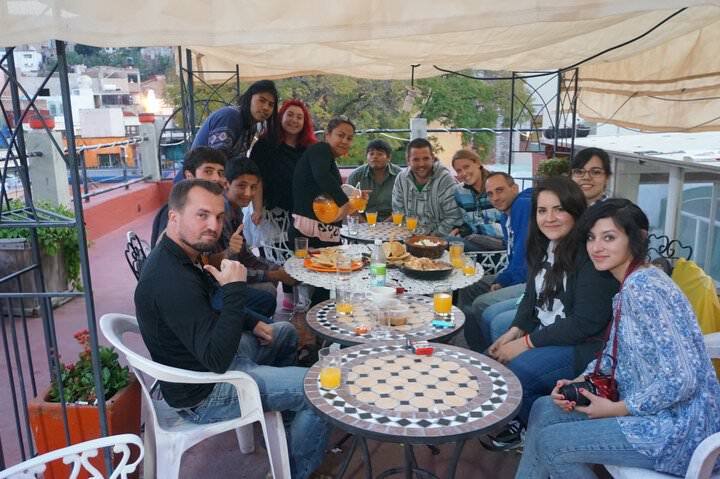 We’ve found that the best tours often come from ones that our hostel has put together, as that way we know we’ll be surrounded by like-minded travellers. This sailing tour had us and 4 other travellers – amazing. 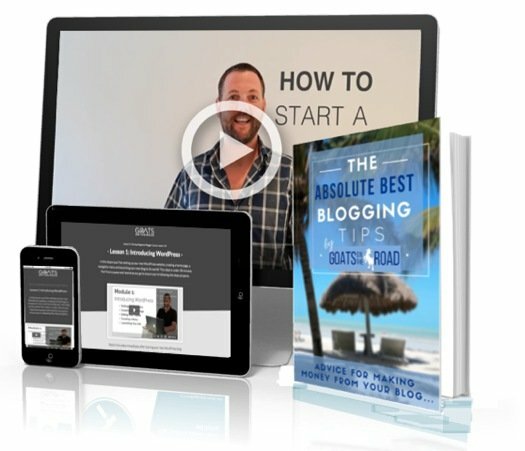 Over the years, we’ve picked up a lot of excellent apps, travel hacks, tips and tactics that have literally saved us thousands of dollars and a lot of time. I wouldn’t say that this is a typical result of getting older, but for us, for some reason, we’ve accumulated way too many travel gadgets in the past couple of years! A drone, Note 3, iPod, iPad, 2 Macbooks, GoPro, Gimbal, microphones and much more. This is all because we’re travel bloggers, but still… it’s getting out of hand. As we age, we’re more concerned with our health than before. If we get sick, we go to the doctor. We try to eat well and keep fit. We stear clear of budget food stands that have clearly left their chicken out in the sun all day. We’ve been sick enough times on the road, and our health has definitely become a more important part of our travelling life as a result of experience and age. 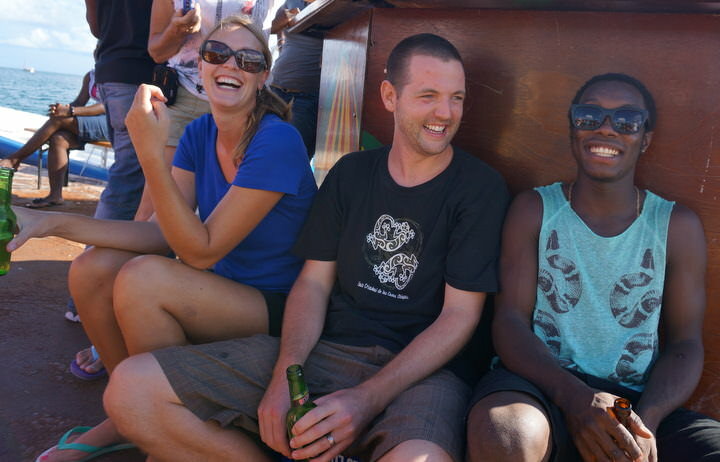 Looking around at the crowd in hostels, we’re starting to feel a bit old! This is a weird feeling for us, but it’s noticeable that the travelling crowd is typically in their early twenties or even late teens. We’re starting to feel old when we’re in backpacker spots, but that’s alright. It just means we’re seasoned… right? Every single year that we spend travelling, together, and on the road, we fall more and more in love with each other, and with this incredible lifestyle. Our lust for travel hasn’t faded and we still get jitters when thinking about our upcoming trips. These changes may be a product of us having more money, the fact that we’re a couple, or because we’re in our 30s. Whatever it may be, we’re happy with our current travel style and are enjoying life to the fullest. Travel is like a fine wine, it gets better with age. I love this post and I can truly relate! Travel has changed a lot now that I’m in my 30s, as opposed to what it was at 19, when I first left my home country. Thanks for reading Gabi 🙂 Travelling at 19 definitely would be different than in your 30s! Interesting read. 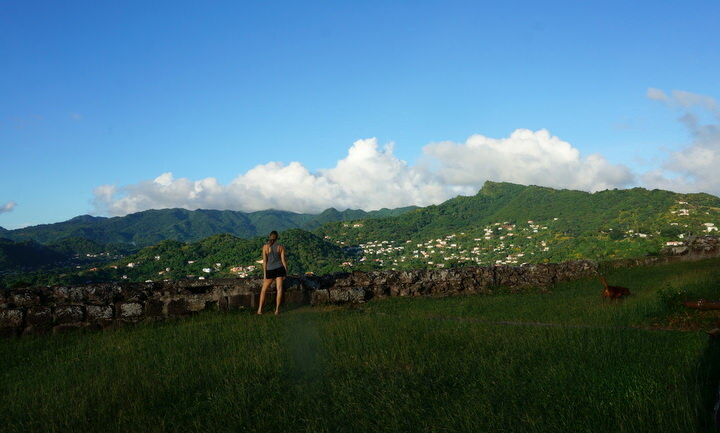 I am in my 30’s and we are just starting our travels, so it’s interesting to compare the way you feel getting older traveling, with the way we feel starting older…. Great post and I can totally relate to all of your points. Point 29 made me laugh, OMG if you are old,….I am feeling ancient now. Happy New Year to you both I look forward to your adventures in 2016.
haha! Thanks for reading…happy to give you a bit of a laugh 😉 Happy New Year! Yep, anything to save a buck! Travel is very important for every people. It’s impact our life and gives some good and bed moments. Some times we adventures few new things. Many times when you are in seek or illness doctors are suggest you to go somewhere. In 30s travel is very good for health, you can spend some time with your life partner, family and friends and enjoy some great moments. Article is too good, 30 suggested ways are great. Thank you for reading and commenting 🙂 Happy New Year! Yep, there’s just something about hitting that “30” decade 😉 Nothing wrong with having some sort of roots! cheers. Great article and very recognizable! I am 28 and last year took a 5 month trip around New Zealand and Southeast Asia and while I hopped onto local transport wherever possible in Asia, sometimes safety (or saving a lot of time) made me take a cab instead (like Manila). thanks for reading Lotte! We’ll see how our travels go in 2016 🙂 Enjoy yours! Thanks:-) Just a week before I head for the (hopefully) white slopes in Austria!!! It is so interesting to see how travel has evolved over the years for both of you. I can relate to so many feelings of growth and change myself over all the years that I have travelled. Great insights guys, wish you a wonderful 2016! Thank you so much Arti 🙂 We appreciate you following along on our journey! Happy travels to you in 2016! I could not agree more re hangovers. I personally think they get a day longer for every decade older but I still haven’t learned!! You summed it up perfectly. I am so happy that Tim and I did the things we did back in our late 20s when we started traveling. Years later, there is no way I would do half of that stuff now….mostly because my body is older (my back could not handle so many of our transportation choices and lodging selections) and wiser in so many ways. But I wouldn’t trade any of it. I do remember when we were in Jordan back in 1996, there was a retired couple staying there and they were far more interesting to hang out with than the younger crowd that was there. We rented a car for a few days (Tim newly embarking on his writing career and we needed the accessibility that a rental car would provide us) and this couple joined us for one day (and split the costs) on a visit to desert castles and the Dead Sea. Also…if you are into wine you should hit Argentina and Chile if you haven’t already! We don’t regret a moment of our younger travels either! So much fun 🙂 Things are still awesome, it’s just different. Thanks for sharing Donna. All true, but the ones about wanting to return, travelling slower, and finding a home base really resonate with me. 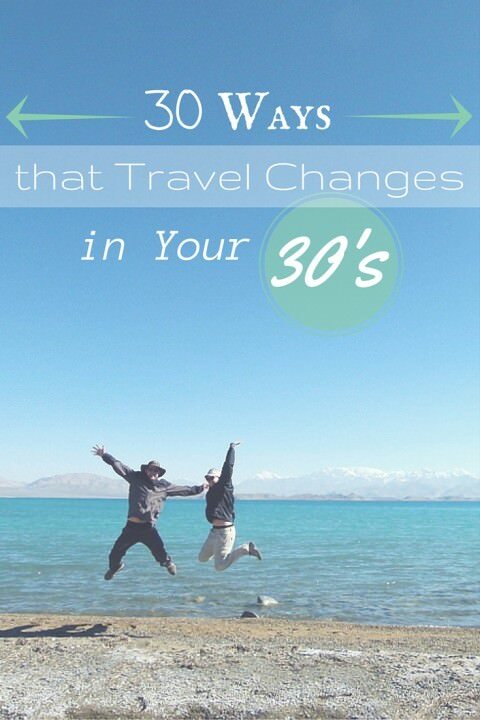 I’m 32 this year, and the past 3 years for me have been such a shift when it comes to travel. Interesting to read similar sentiments – thank you! Thank for sharing Tim 🙂 Isn’t it funny how things somehow shift a bit when you hit that new decade! Great post! I just turned 27 and already some of these apply- this New Years I had 14 hours of traveling from Chicago back to Guatemala (yay for cheap flights) and instead of going out and pulling an all-nighter (something that seemed expected of me) I went to bed early to be up at 5am for my flight. The idea of a hangover hitting midday on a plane just didn’t appeal. I also find that I prefer to stay in slightly nice accommodation now and spend more time saving for a trip so I can be a little more comfortable while I’m away. Thanks Richard! Wow, that’s amazing that you are still backpacking. We definitely see ourselves travelling in our 70s and beyond 🙂 All the best, happy trails! Ouch. We started feeling this acutely in hostels during our trip to Ireland a few weeks ago. At one point, I looked around a busy kitchen full of guests and realized, “Oh no, we are the oldest people here!” We’re going with your philosophy on this one: seasoned and young at heart! Aloha. I’ve been reading Goats on the Road for a long time and never commented, but this was such a great post. I am in my 40s and traveling full time with a wife and three daughters, and you are right that it does keep getting better. It has been great to watch the two of you change and grow and I am glad you still love being on the road together. And you are so right about fighting when hungry! Take care. Thank you so much for following our journey and for commenting here 🙂 Happy travels! Though I only set foot on a plane when I was 30 and started traveling… I’ve got the impression that the traveling crowd in backpacker and youth hostels has become younger over the years though (gap year, Erasmus exchange, … were very rare or unexisting 20 years ago). My husband and I have always been independent travellers. 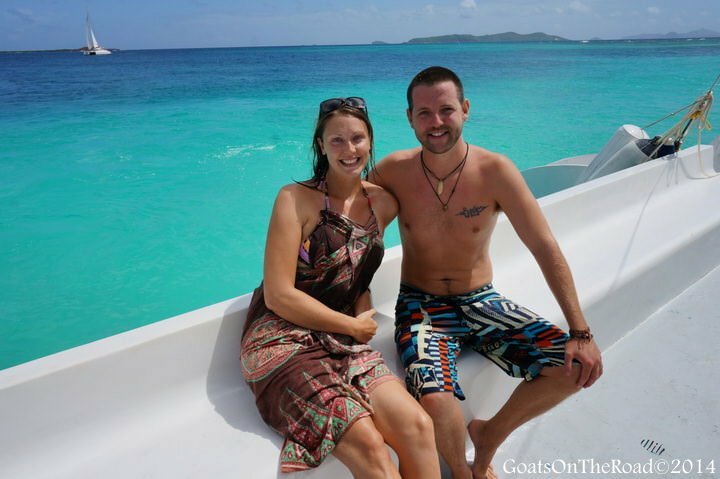 Starting in our 20’s we travelled the backpacking method . We are in our sixties and still prefer independent travel avoiding package tours / holidays we would stay in out of the way places sometimes take local buses or maybe rent a car. We found some highpoint places such as a tour of an historic site or castle are best booked as a bus tour for the day; we visited the Aran islands on a bus tour at a very reasonable price and they looked after all the connections with the ferry and the local van service around the island. Some sites are also prebooked and the only way you could get into the Al humbra in Spain was through a bus tour company. In reality that bus tour saved us much stress and time as we would have had to stay overnight and then possibly found out that the tickets were all sold out. We like to stay a few days in a place ie Santi liana in Spain and savour the local culture. Now we are looking at long term stays of a month or two. Yes one’s preferences change as you move on in life. I spent 11 years as an international teacher and l liked to revisit places to investigate in greater depth the local community and culture. 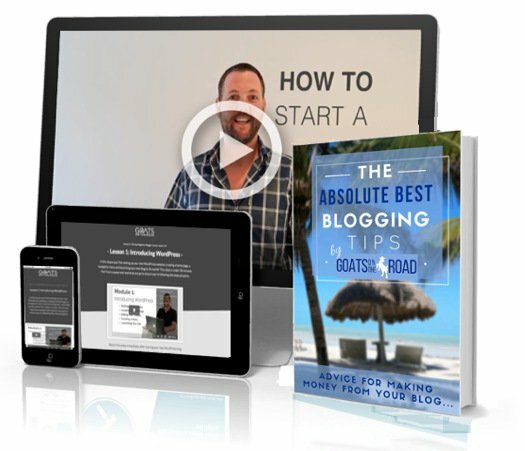 Love your blog Thanks for sharing. I hear ya! A few years ago, when I was 34, I stayed at a hostel in Croatia where I overheard two 18 years complaining about being the youngest in the hostel. I pointed out that it is probably preferable to being the oldest, like me. They looked surprised and said ‘oh, don’t worry, you’re not the oldest here. There’s a girl staying here who’s 28’. I was so flattered that they thought I looked so much younger than my age that I didn’t correct them! I agree on all of these. I think #14 and Urge to Return is one of the most unexpected for me. In the last few years I’ve returned to Thailand, Italy, Mexico and Cuba after a long absence to see what it is like now. Those visits had an impact on me. Thanks for sharing this great post. This is probably my favourite post of yours so far (and that’s saying something). Great reflections and awesome tips… Must remember to take some nice clothes with us for some nice dining and shows!